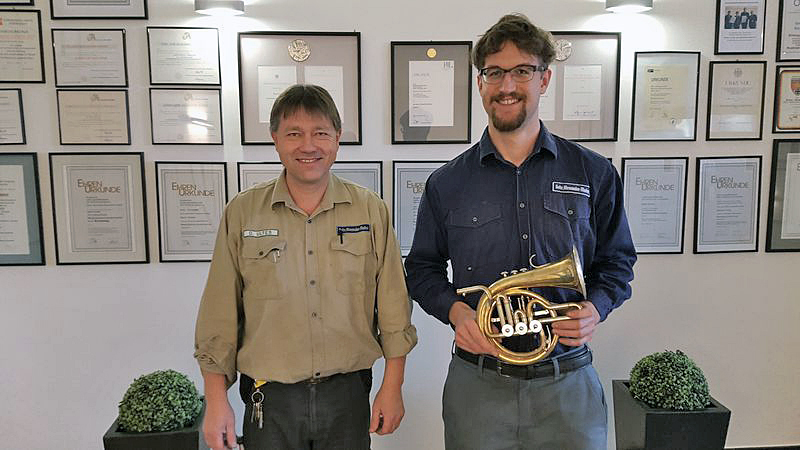 The winner of the “Leistungswettbewerb des Deutschen Handwerks” 2015 in the category “brass instruments” is our former trainee Jan-Christoph Metz. Congratulations to Jan-Christoph Metz on this award. We are glad to employ another national winner in our team. The competition takes place in various categories every year at the Oscar-Walcker-School in Ludwigsburg which is also the place where the trainees are trained. Gebr. Alexander was also awarded this year with the “Educational-Oskar” from Oscar-Walcker-School for outstanding achievements in training. Largest Alexander Model 103 ever built Gebr. 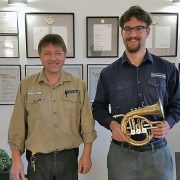 Alexander Horn Camp 2016 – sign up now!